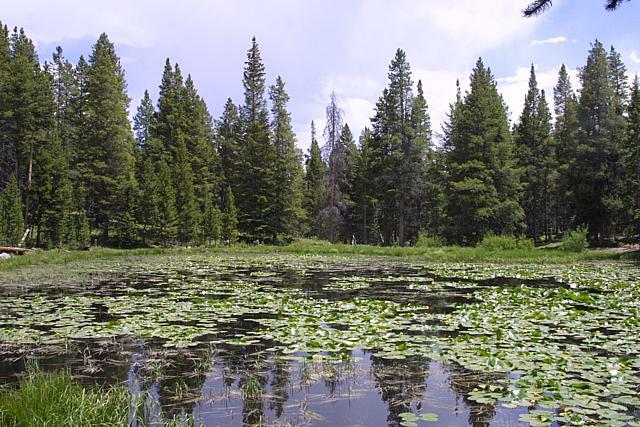 Duration: 4 hours 40 minutes round trip (2 hours if from Ryan Gulch Road) not including time at the lake. Somehow back in 2004, this page never got written, so two years later with my memory perhaps a bit fuzzy, I am getting this one done. On this map in red I have put other trails that I have hiked by combining files from each hike. 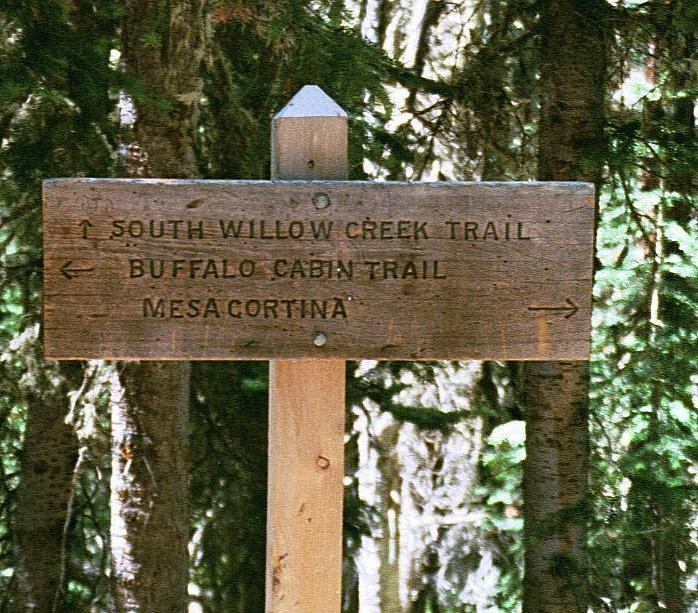 The Buffalo Summit in dashed red is probably not accurate anymore as the trail has been re-routed. 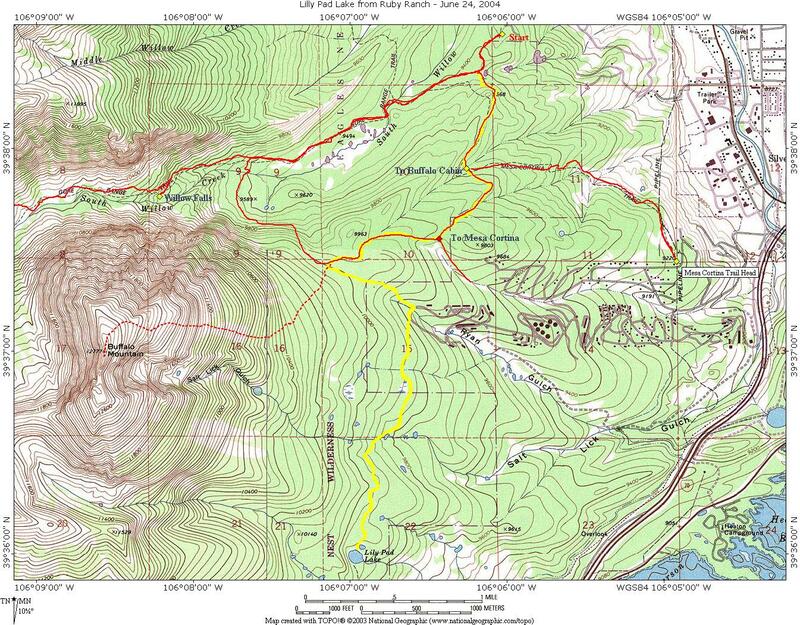 The trail for this hike is in Yellow. 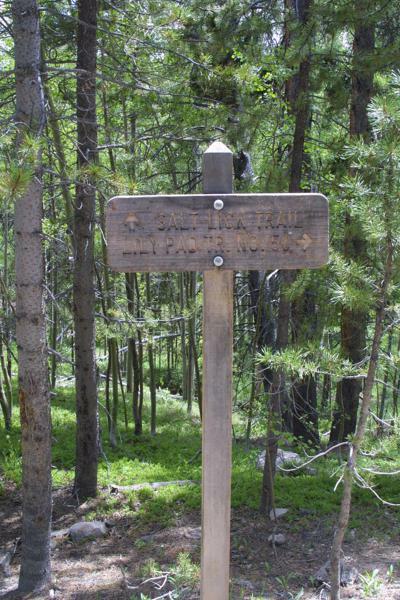 The high point of this particular hike is at the junction of the trails from Mesa Cortina, Willow Falls, Buffalo Cabin (or summit) and the Widlernest trailhead. 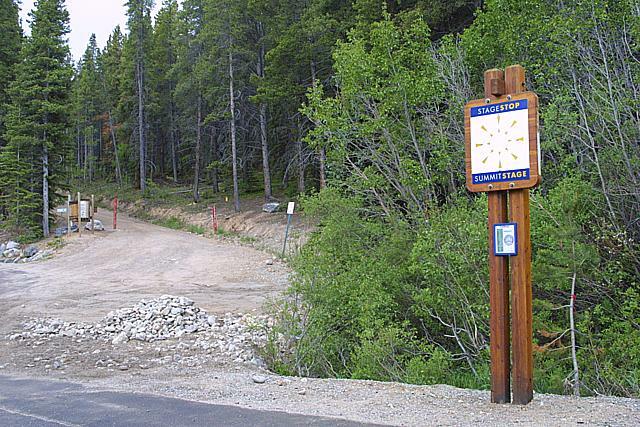 The trail, continues on to the Frisco I-70 Exit 203 trail head that also serve Eccles Pass. However, we turned around at this point and headed back home before the afternoon thunderstorms hit.